A Living Will (also called a Directive to Physicians, Advance Directive, or Health Care Directive) provides guidance to your family and physicians regarding whether you want life-sustaining treatment if you are diagnosed with a terminal or irreversible (and ultimately fatal) condition and can't make your wishes known. By making your wishes clear now, you relieve your family of the heavy burden of making those decisions. 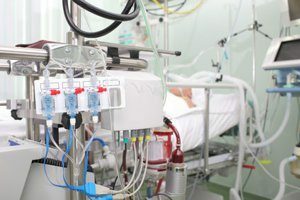 Your Living Will indicates whether or not you want treatments (such as artificially administered nutrition and hydration, kidney dialysis, or mechanical breathing machines) to keep you alive. Who makes these decisions if you don't have a Living Will? Without a Living Will, your physician will first look to the person you have designated under your Medical Power of Attorney, or to your legal guardian, if you have one. If neither of these applies, your physician will discuss treatment options with a family member. Which family member is allowed to make the decision may depend upon who is reasonably available, and may range from your spouse to distant cousins. If no one is available, your physician will seek approval from another physician who is not involved in your care. If the person called upon knows (and remembers) what you would want, that is the decision they are required to make. Otherwise, the decision will be up to them, in consultation with your physician. What should I do with my Living Will once I have one? Physicians are not required to take a Living Will into account if they do not know about it. 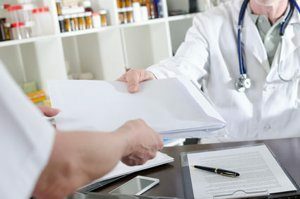 Therefore, the first thing you should do is to provide a copy of your Living Will to your primary care physician so it can be added to your medical record. A copy should also be given to the person you designated as your agent in your Medical Power of Attorney. Finally, you should store the original with your important papers. A Living Will that sets forth your wishes concerning life-sustaining treatments is an important element of an Estate Plan. To get started on your Estate Plan or to add a Living Will to an existing plan, please schedule an appointment with an estate planning attorney at the Law Office of Brandon S. Glosson today.